Shortly after I arrived in Tel Aviv two weeks ago I was invited to take a drive to the West Bank with the staff from the B’tselem USA office who were in Israel for a week of meetings and updates. They were going to see a few sites of interest and had an extra seat in their car. So I hopped on the bus to Jerusalem where I joined them. As background, B’tselem (www.btselem.org) is an Israeli organization that is concerned with human rights in the West Bank. They report on what is happening “under the radar” in the occupied territories by issuing carefully researched reports that document abuses or illegal activity. What I saw during this brief trip has rarely been covered in the media. 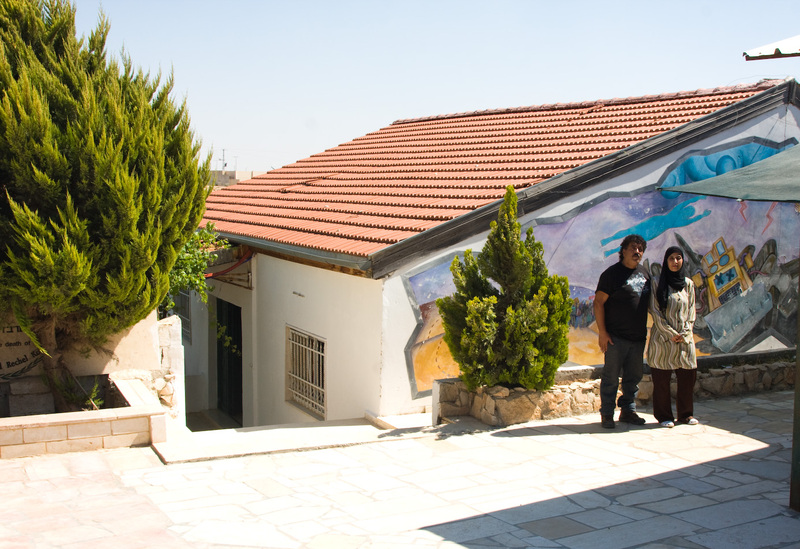 Our first stop was the Palestinian village of Al-Walaja which is under the jurisdiction of the Jerusalem municipality. Years ago a significant portion of the village’s agricultural land was expropriated, without compensation, by Israel to build the Jerusalem neighborhoods of Gilo and Har Gilo. The mechanism to do this was to declare the fields military land after which the neighborhoods were constructed. The result was a serious blow to the economy of the village since it was agriculturally based. The farmers affected lost their livelihood with no legal recourse. 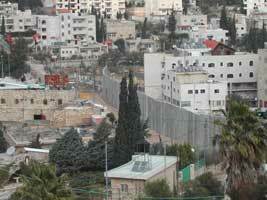 Today the separation wall is being built around the village. Its path is between the village’s remaining agricultural land and the houses. This will effectively deny the farmers entry to any of their land although they will be able to apply for temporary three month access permits. However, those often are not granted or renewed and experience in other Palestinian villages has been that, even when temporary permits are issued, soldiers don’t always show up to open the gates through the wall. Obviously farmers cannot take the chance of planting and investing in their fields without assurances of ready access. Thus the wall will effectively deprive the village of its remaining economic viability. In addition, once the land is not worked for three years it is declared “abandoned” and the state can legally expropriate it without compensation (Arbitrarily denying access for security or other reasons for three years is one of the favorite legal mechanism’s to take over private Palestinian land). 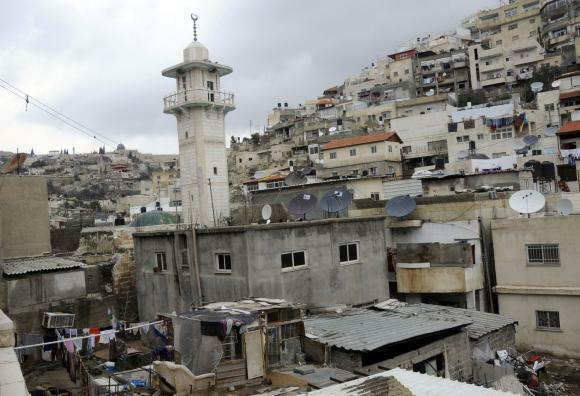 In the meantime, the contrast between the Arab village and the nearby Jewish neighborhoods is striking. The roads in the village are old and rutted, there are few if any government services provided, and building permits are almost impossible to obtain so, even if there were funds available, improvements or new construction could not be made legally. 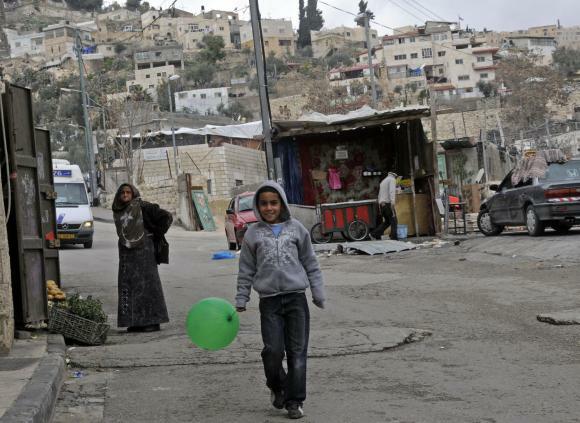 As a B’tselem report stated, “Over the years, the Jerusalem Municipality has not provided services to the village, and city officials’ visits to the village have primarily been to document houses built without a permit or to demolish them.” In comparison, the roads for settlers are modern and well maintained, and Gilo and Har Gilo are attractive neighborhoods with parks, playgrounds, shopping, and modern buildings. A telling symbol is the new separation wall itself. On the side facing the Jewish neighborhoods the wall is covered with a pretty facade of Jerusalem stone. 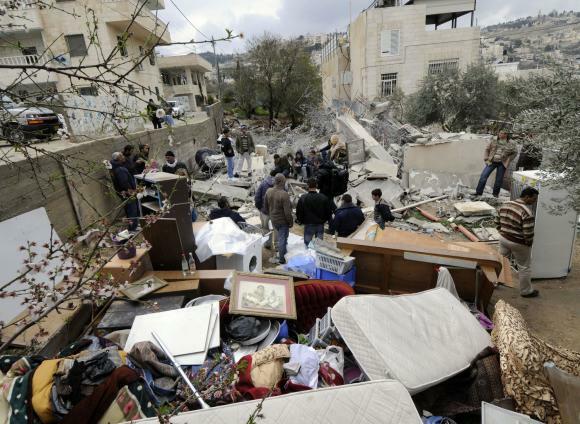 On the Palestinian side it is ugly, grey concrete. Unfortunately, the experience of Al-Walaja is not uncommon on the West Bank but it is seldom reported in its full magnitude and long-term impact.